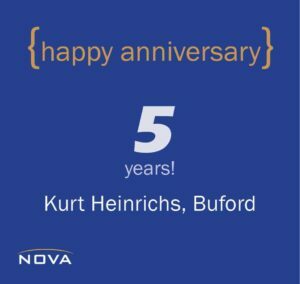 5th NOVA Anniversary for Kurt Heinrichs! And it’s been 5 years for Mr. Heinrichs! Join us in wishing him a happy, happy anniversary.